It’s all about the scarf today! When traveling, three main concerns dominate your experience. Secondly, you don’t want to be weighed down by a 100 pounds of stuff that you may or may not need. Thirdly, you’ll want to look and feel great, because, duh. The humble scarf makes a perfect companion for your travels. It requires minimal space in your carry on, and not to mention it multitasks like a #girlboss. I’ll never travel without one, (or two,) and after reading about this, neither will you! 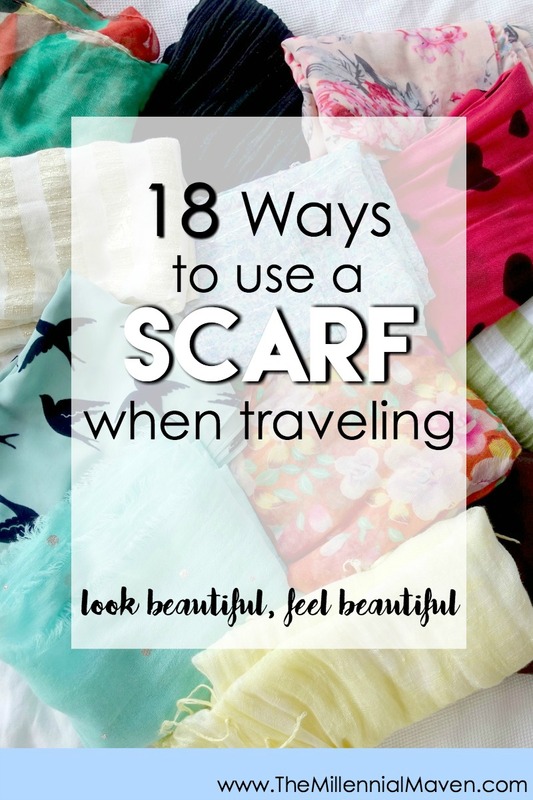 Today I’m showing you 18 of my favorite ways to use scarves when I’m on the go. How to write the perfect travel packing checklist. Sounds easy enough, right? Right? We can all agree that everyone loves going on trips. You get to experience far away lands or spend time with family that you hardly see… it’s wonderful. But, what is not wonderful is arriving at your destination after a long day of traveling only to discover that you forgot to pack your phone charger. We lifestyle perfectionists like to pack a lot of stuff. When you pack a lot of stuff, you forget a lot of stuff. Like a laundry bags. Or your tweezers. Once upon a time, I was a fly-by-the-seat-of-my-pants kind of girl. I didn’t ever write a travel packing list. And I always forgot something. Always. These days, I say that it’s better to be over-prepared than under-prepared. Keep reading to learn my tips on how to prepare your travel packing list. No essentials left behind! SPECIAL BONUS: Because I know you’re a busy go-getting lady, I’ve done most of the thinking so you don’t have to. Click through to the post and download your FREE Master Travel Packing List & printable organization worksheet! It’s summer! Which means it is officially travel season! And what does that mean? We’ll have to pack, of course! With the airlines being annoying and charging us for checked luggage, (which seem to have a 92% chance of landing on the other side of the planet anyway,) and regulations limiting how much of what we can bring, packing is getting tricky. It’s not like the old days anymore. When I went on family vacations as a kid, my entire family of four would jam everything into one 70 pound suitcase and send it on it’s way. If you haven’t already, be sure to check out my post on writing pristine packing lists. It has some great tips to make sure you feel organized and calm during the packing process so nothing gets left behind. Today, I’m showing you my must have products for travel. We’ll also talk about how to narrow down to the bare minimum while still having everything you need for any beauty situation. 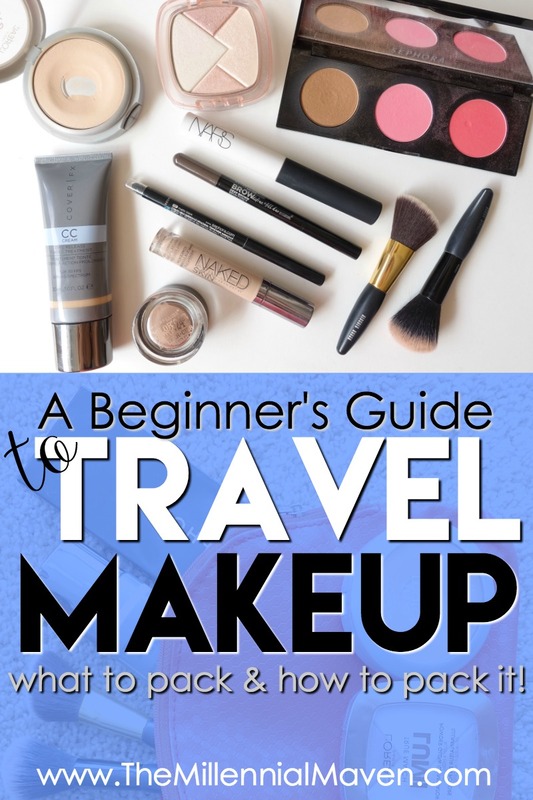 Ready for easy travel beauty? Click to read on!